Dr. Michael N. Pollak is a clinical oncologist at the Jewish General Hospital, and directs a multi-disciplinary research program related to cancer endocrinology at the Lady Davis Institute for Medical Research. He is an internationally recognized scientist in this field. Clinically, Dr. Pollak specializes in the treatment of hormone-related cancers, and has been the principal investigator on several pivotal clinical trials of new drugs. Dr. Pollak’s laboratory research has focused on the roles of insulin and insulin-like growth factors in cancer biology. His laboratory uses a variety of in vitro and in vivo methods to explore the influences of hormones on cancer behaviour and on cancer risk. Dr. Pollak has extensive international collaborations in his area of research, and is frequently invited to collaborate in drug development projects led by pharmaceutical industry participants. He reviews papers for leading journals such as the New England Journal of Medicine, Journal of Clinical Investigation, and Nature, and also participates in peer review of research applications submitted to the NIH and other leading funding organizations. He has more than 325 publications to his credit. One section of his laboratory is devoted to performing specialized hormone assays, and acts as a reference laboratory for leading collaborating epidemiologists worldwide. This laboratory receives blood samples from scientists around the world for analysis. Dr. Pollak has been recognized by McGill for his contributions to the University's favourable international standing. His 1998 publication in Science is one of the most widely cited Canadian contributions to the cancer research literature. 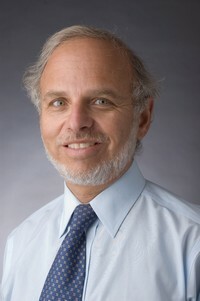 Dr. Pollak has received continuous peer-reviewed funding from Canadian and international sources for more than 20 years. He received one of Quebec’s top scientific honors, the Chercheur national award from the FRSQ. Dr. Pollak’s research program is multi-disciplinary. It includes clinical trials, laboratory research emphasizing both cellular and in vivo experimental systems, and epidemiologic research carried out in collaboration with colleagues internationally. His laboratory is frequently called upon to act as a reference for the measurement of hormones suspected of being related to cancer biology. Pollak M. The insulin receptor/insulin-like growth factor receptor family as a therapeutic target in oncology. Clini Cancer Res 18: 40-50, 2012. Larsson O, Morita M, Topisirovic I, Alain T, Blouin MJ, Pollak M, Sonenberg N. Distinct perturbation of the translatome by the antidiabetic drug metformin. ProcNatlAcadSci USA. 2012 May 18. Epub ahead of print. Pollak M. Investigating metformin for cancer prevention and treatment: the end of the beginning. Cancer Discov 2: 778-90, 2012. Dr. Michael Pollak is an internationally recognized clinician scientist specializing in hormonal influences on cancer. His work lead to the recognition of important roles of insulin-like growth factors and insulin in cancer biology. As a result of his research, at least a dozen pharmaceutical companies have launched specific drug development programs to develop drug candidates that address novel molecular targets.